After the National Relay Championships, the Sprint Relay is definitely one of our highlight of the season, this time it wasn’t any different. Held the race in Mezzano, a small village in the Primiero Valley, it was obvious to present two Elite teams: Team 1 “the locals” (Carlotta, Tommaso, Riccardo Scalet), and Team 2 “the promises” (Anna Giovanelli, Alessandro Bedin, Damiano Bolla). 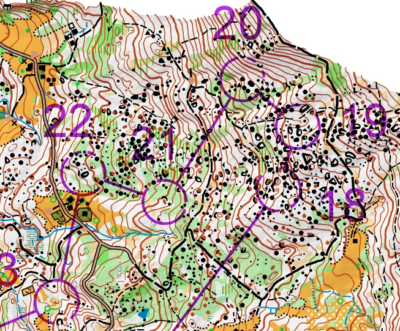 The courses were well designed, with a good mix of technical, physical and mental challenges. Despite some of us knew already the terrain from thousands of training in the past years, none could just rely on memory and run by heart, it was simply too tricky.. Good Job @Emiliano! (the course setter). The race was on exactly the way it should, with our Team1 keeping the lead and Team2 in contact… But as soon as we crossed the finish line as winners, we realized about a misspunch in the first leg… The 2nd team also took the wrong map in the first leg and was therefore disqualified too. Shame, a real shame, but it wasn’t our day, after all. A new chance the next morning with a nice shortened-longdistance in Caltena. 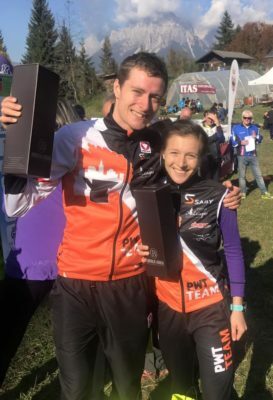 The steep, rocky, tough, dense terrain suited most of the team well, bringing three Elite podiums (two victories, well-done @Carlotta and @Robert) and many other good results… We were looking for a kind of revenge from the day ahead, and it happened! Good job! We want to congratulate with the organizing commitee and team GS.Pavione for the work! Every little detail of the weekend was considered, perfectly planned and cared. Great Great Job! Now the season has ended for all of our team, while the youngest will give one more shot at the regional championships this weekend, the others will rest and get ready for a new block of winter training.